As part of the Native American Artist-in-Residence, MNHS acquires pieces of work from each artist to add to the contemporary Native collections. April Stone, Bad River Band of Lake Superior Chippewa, is a prolific ash basket maker. As part of her residency, she studied historic baskets made both by indigenous and non-indigenous people and from various materials. One part of her residency was to have an artist space to show her working on an ash burial basket. April logged 115 hours on this project using scissors, an awl and a knife as her primary tools. 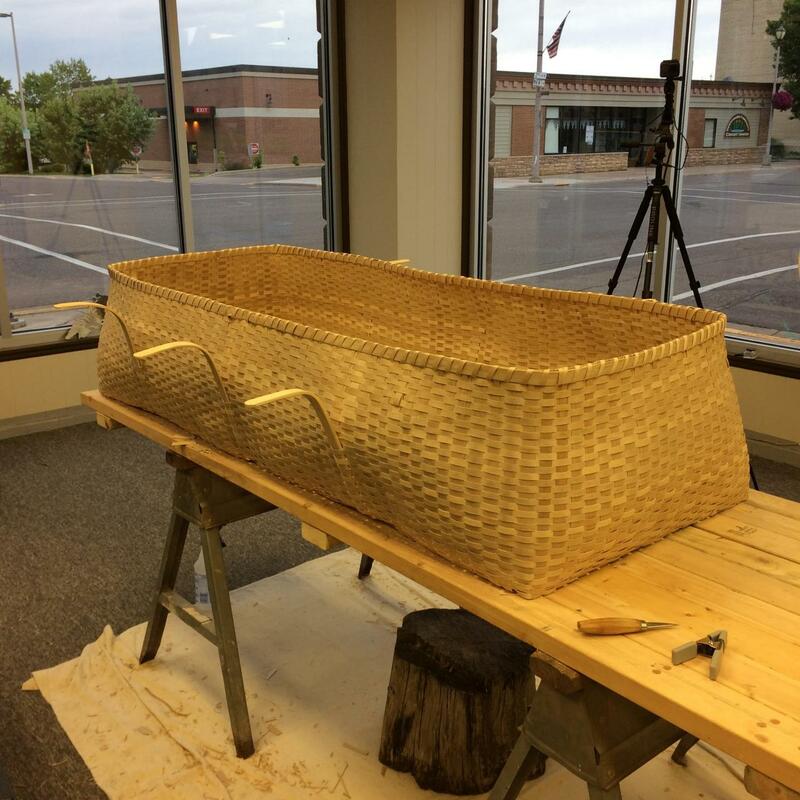 While not the traditional funerary practices for Ojibwe people, the message of the burial basket is beyond just traditional death. Ash trees have been affected by the Emerald Ash Borer as of late, this then means that there are not as many ash trees available to make baskets. If this trend continues, the creation of ash baskets is threatened.